The benefits of exercises to lower blood pressure goes far beyond reducing your blood pressure, it is also a proven treatment for hypertension and other health benefits. Think energy, ease of movement, circulation, and vitality. Getting physical and upping your cardiac output is one of the greatest ways to naturally energize your body, mind and soul. I can't express myself passionately enough on the many benefits that await you as you get moving. Just go at your own pace and listen to your body. Exercising help boost your metabolism, the calorie-burning furnace of your body. Scientist now state that lifestyle factors interact with inherited genes that may make some people more susceptible to high blood pressure later in life. Some of these lifestyle factors include lack of exercise, obesity, stress and poor nutrition. According to the National Institute on Aging, "if exercise could be put in a pill, it would be the most widely prescribed medicine in the world". And, I would be the first in line to get this pill - exercising takes a lot of discipline. But whenever you maintain a high blood pressure exercise schedule, you will say to yourself why am I depriving myself of this euphoria feeling. After exercising for 45 minutes your body's endorphins kicks in and you'll feel great. Your muscles might feel sore but it is a good feeling. Also knowing how to hydrate your body effectively for a safe workout is very important. So even getting in some high intensity workouts you can still be attractive. I say that to say there is no excuse. I want you to think of exercising not as a chore but as a gift you give yourself to stay healthy. Exercising help boost your metabolism, the calorie burning furnace of your body. The more physically active you are during the day, the more fat calories you burn, the fewer calories you store in your body. Both aerobic exercise and strength training are important for weight loss and long term weight control. Let us take a look at the many proven benefits of exercises to lower blood pressure. Exercise strengthens all the muscles involved in your body's movement. If you walk you strengthen your leg muscles. If you lift packages you are strengthening your arm muscles. Add bike riding outdoors to the mix and supercharge your health. Whatever the exercise you are engaged in strengthens your heart muscles making it stronger. At the same time, with all these activities you are doing, your body opens up your arteries to allow for more flow of nutrients to flow into your tissues. Thus making for a combination of a stronger, more efficient heart and more open blood vessels reducing your high blood pressure. When you were young your bodies build strong bones faster than it loses it. With age bone is lost more rapidly that it is formed. Eventually the bones become more fragile and susceptible to breaks. So start this fitness program today. Exercising plays a key role in slowing bone loss. It is never too late to start a strength training program. I am talking even into your sixties. When you build new muscle, your joints become more flexible and your bones and muscles strengthen. Your bodies burns more calories throughout the day, even when you are sleeping. That means fewer calories will be stored as fat. Find out here how wearing a fitness tracker can provide you with all the stats necessary for you to achieve your health goal. Building stronger bones is very important for women who have reached menopause, when lower levels of estrogen can contribute to osteoporosis. 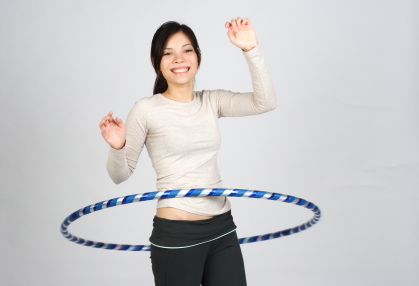 Exercises to lower blood pressure also means you get to eat more - how is that for a great benefit for exercising. Exercises to lower your blood pressure also reduces your risk of heart disease, strokes, Alzheimer Disease and other serious conditions. I can attest to the quick relief from sore muscles just after taking this holistic, herbal approach in just two days. Zyflamend helps to balance your whole body's natural healthy inflammation response after exercise. High blood pressure is known to contribute to memory loss, so the fact that exercising can control high blood pressure means that it can help promote better memory. Exercises such as meditation, pilates, swimming, and yoga helps keep you mentally sharp and focused. It is said that exercising promotes improved blood flow to the brain, which may help maintain brain function and also directly stimulate the growth of neurons so that connections between brain cells remain active. Weight loss is always a welcomed side effect. Sometimes when you exercise for a hour or more, and drinking all that water, your appetite decreases, thereby controlling your weight. Also think of gardening as an exercise and a path to losing weight while lowering blood pressure. Exercising is great for everyone. Walking is natural and free; probably safe for most people, but for those with heart disease and high blood pressure some exercises are not. Am I a man over forty-five or a woman over fifty-five who has not been physically active in a long time. Have I ever felt any chest pain or pressure in the past month, and/or during or after exercising? Have I ever lost consciousness or fall over because of light-headedness or dizziness? Has a doctor ever told me that I have muscle, joint or bone problems that might get worse if I exercise. If you answered yes to any of those questions, check with your doctor because you may need a more in-depth physical testing before starting your exercise program. However, according to the American Heart Association and the American College of Sports Medicine, if you have a medical or musculoskeletal condition that is not stable or untreated, then exercising is not advised until your health has been stabilized. If you have not been active for a while, talk to your doctor before you begin any exercise program. Then start your exercises to lower blood pressure slowly, getting just enough exercise to get your muscles and joints used to the increased activity. Exercises to lower blood pressure must start slowly, Oh so slowly - especially if you are over fifty, then increase the length and intensity of your workout over a period time. To avoid injury and muscle strain, stretch and walk slowly for five to ten minutes using flexibility exercises. Gradually build up to thirty minutes of exercises to lower blood pressure three times a week. Aerobic activity, strength (resistance) training and flexibility exercises, these are exercises to lower blood pressure. In addition to weight loss tips, this site will guide you in improving your health and fitness using cardiovascular fitness techniques with a combination of lower back, leg, and abdominal exercises.